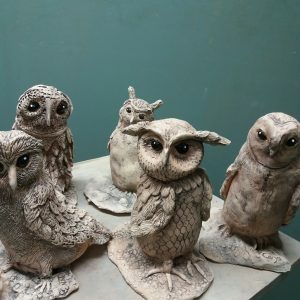 At the Quirky Owl Workshop you will learn some of the key skills of the sculptor and in the process you will create your very own masterpiece. The workshop is restricted to a small number participants and will run for the majority of the day, approx 10am (please arrive at 9.30) we will aim to finish at 4.00pm. 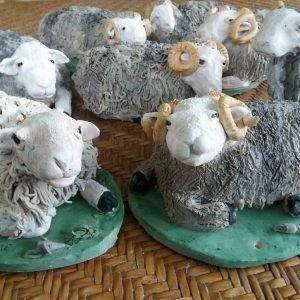 The workshop includes a full days tuition, good quality clay, all sculptors tools, 2x firings, tea and biscuits. Your pieces will be ready within 3 weeks to collect once fired. 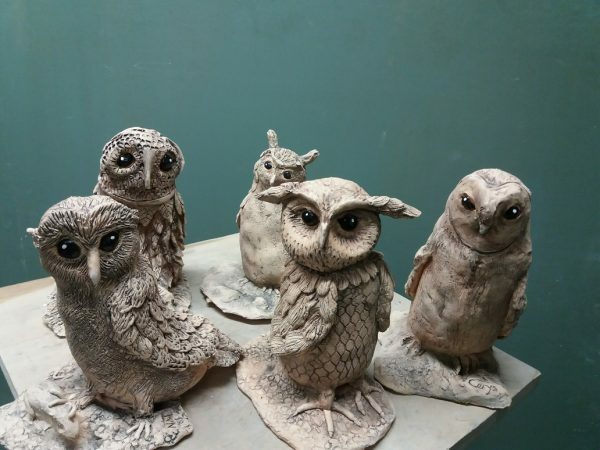 £65 per person includes your 1st session to create your owl, the initial firing process, then you will return to a 2nd session to paint your hare (date to be decided) and the final glazing/firing process. 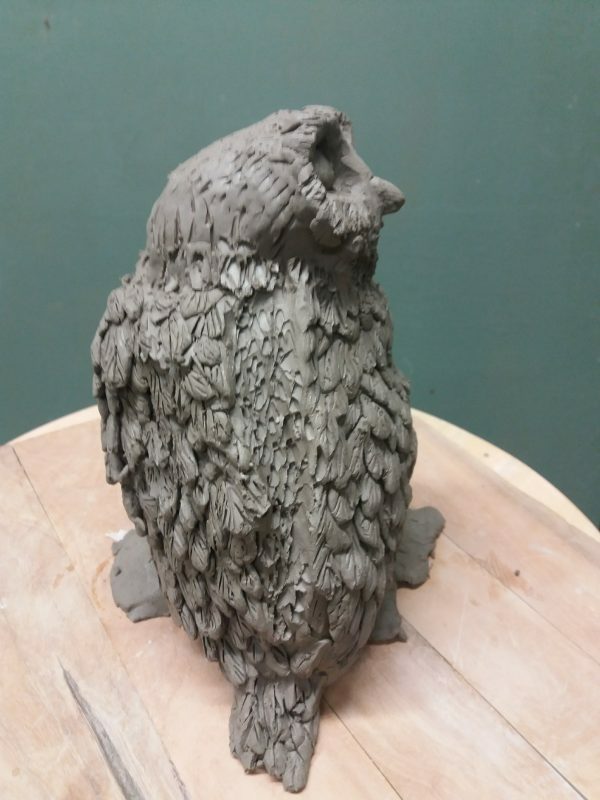 >Booking is essential- places are limited so please contact Puffin Pottery to book. Full payment must be made to secure your place on the course. Call us on 01943 465731 to book or pop in to see us. 45 mins for lunch- please feel free to bring a packed lunch, or there are number of lovely cafes on our doorstep. 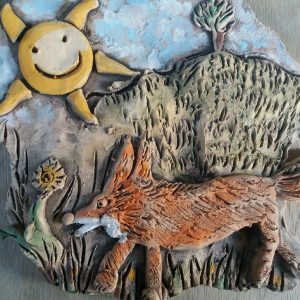 3D Free Style Wall Art (Two evening workshops- please check your options) Wednesday 29th May/12th June 6pm-9pm.